Dr. Mike has dedicated his entire career to improving the vision of his patients. 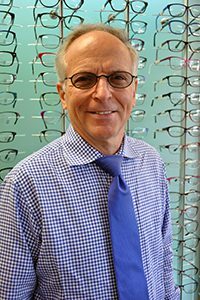 His practice has focused on medical optometry, including everything from routine checkups to the treatment of eye diseases. Beyond his work at the clinic, Dr. Mike has been instrumental in helping the Minnesota Department of Transportation with vision, safety, and highway design. He has also lectured on topics including glaucoma, macular degeneration, contact lenses, and the treatment of keratoconus and corneal scars. This work has also included acting as a legal consultant on visual loss. Dr. Sandra is a compassionate professional and an experienced psychologist who recognizes the importance of a healthy relationship between a doctor and a patient. She provides psychological care to adolescents and adults, with an extensive background in couple’s therapy. Her approach focuses on relationships as one of the cornerstones of a positive, meaningful life. She assists clients with PTSD, anxieties, panic disorders, depression, bi-polar disorders, personality disorders, and the trauma that family members endure with these conditions. Dr. Sandra strongly believes in the need for clients to recognize their own strengths while moving forward with their lives. Dr. Josh grew up in the Twin Cities and graduated from St. Thomas Academy, St. John’s University and the University of St. Thomas School of Law. He completed his Doctor of Optometry in Michigan. Before returning to the Twin Cities, Dr. Josh served patients at University Eye Center in Michigan, Heart of the City Health Center in Michigan, and William Jennings Bryan Dorn Veteran’s Administration Medical Center in South Carolina. Dr. Josh is a Fellow in the American Academy of Optometry. 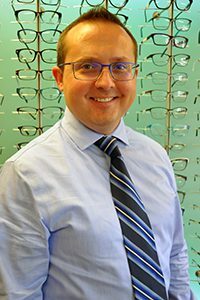 He is an active member of state and national professional organizations and was named Young Optometrist of the Year in 2015. He lectures to colleagues nationwide, especially regarding dry eye disease. He is certified in the fitting of specialty contact lenses included corneal reshaping lenses for orthokeratology and scleral lenses for keratoconus, ocular surface disease and other corneal irregularities. Clinical interest areas include: anterior segment and ocular surface disease, cornea and contact lens, pediatric and binocular vision, macular degeneration, cataracts, and glaucoma. Tobbyn is a long-standing member of our staff and she has worked closely with doctors in their pursuit of exceptional care for all patients. She has worked in a technician capacity and has excellent expertise in imaging and special testing provides critical information for doctors managing and treating ocular conditions. She has worked as an optician helping patients with selection of eyeglasses and proper handling of contact lenses. She currently coordinates insurance claims processing. Jon has held various administrative positions at different arts organizations around the Twin Cities including: Minnesota Orchestra, The Dakota, Children’s Theatre Company, Old Log Theatre and Bedlam Theatre. Most recently, he has served as a legal clerk and educator in Austin, TX. He joined the RLC team in 2015 and is currently the Director of Clinic Operations. He enjoys bicycling and all the Twin Cities have to offer. Joni serves as our primary optician. She was born and raised in greater Minnesota. She graduated from Sauk Centre High School and continued her education at Concordia College in Moorhead, MN where she received a Bachelor’s of Arts degree in Music and Elementary Education. She currently resides in West St. Paul with her two bishon-poos, Sammy and Emma, who are her “kids”. She enjoys spending time with friends and family; music of all kinds, kids of any age, church activities, and traveling. Her career has taken her from teaching music to banking to owning her own business, and most recently, to River Lake Clinic. Under Dr. Mike’s guidance, she has since received her paraoptometric certification through the American Optometric Association and has worked as an optician at RLC for the past nine years. She greatly enjoys the day-to-day contact with people and the opportunities to assist them with their fashion eyewear. 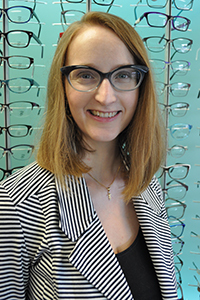 She has a flair for color, and takes great joy in helping people realize our exciting array of eyewear options. 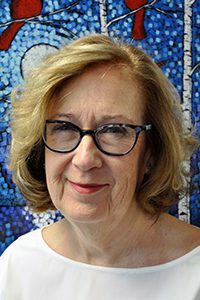 Anne is a long-time member of our clinic staff, who helps with insurance claims processing. Anne has assisted with patient check-in and check-out and various other roles while with us. She currently works closely other team members to insure proper processing of claims by third-party payors. Heather is a patient care coordinator at River Lake Clinic. Before joining River Lake Clinic, she worked in a prescription ophthalmic lenses lab. She also has experience as a Medical Assistant and worked in a neurology clinic. She enjoys Biking, Motorcycles, Mud Trucks. She is the warm-hearted mother of two biological children and three step-children. Pa serves as technician, assistant and scribe. She works closely with the doctors in providing exceptional patient care. Pa has worked as a technician, scribe and assistant at other eye care centers. She helps patient’s select proper eyewear. She guides patients in how to safely handle and care for contact lenses. Shiny serves as technician, assistant and scribe. She works closely with the doctors to provide exceptional patient care. She helps patients with safe handling and care of contact lenses. She guides patients in selecting proper eyewear. Sarah helps with patient care coordination and insurance claims processing. She works closely with members of our team on benefits and eligibility, as well as insurance claims processing and collection.